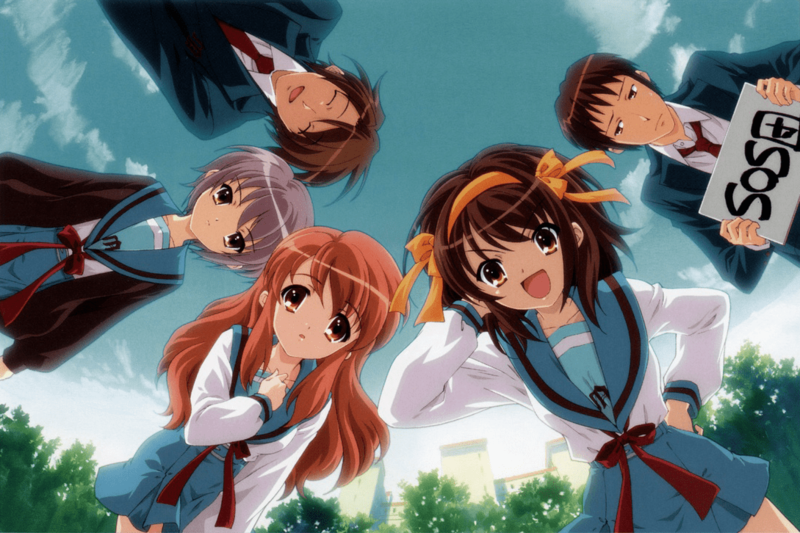 Keith's Review of "The Melancholy of Haruhi Suzumiya." 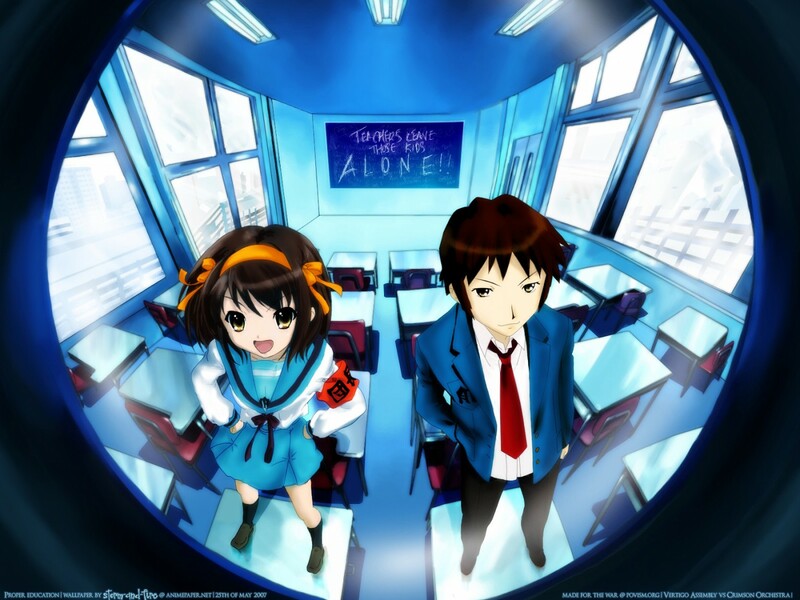 Ah, The Melancholy of Haruhi Suzumiya. It’s hard to say anything about this series that hasn’t already been said elsewhere – this is a very well-known anime (and manga) series. It’s also rather… different… from most other series. To say that it’s “unique” would be putting it mildly! The plot is simple on the surface (high school story) but complicated underneath (involving, of all things, time travelers, aliens, and “espers” – that is, people with ESP/psychic powers). 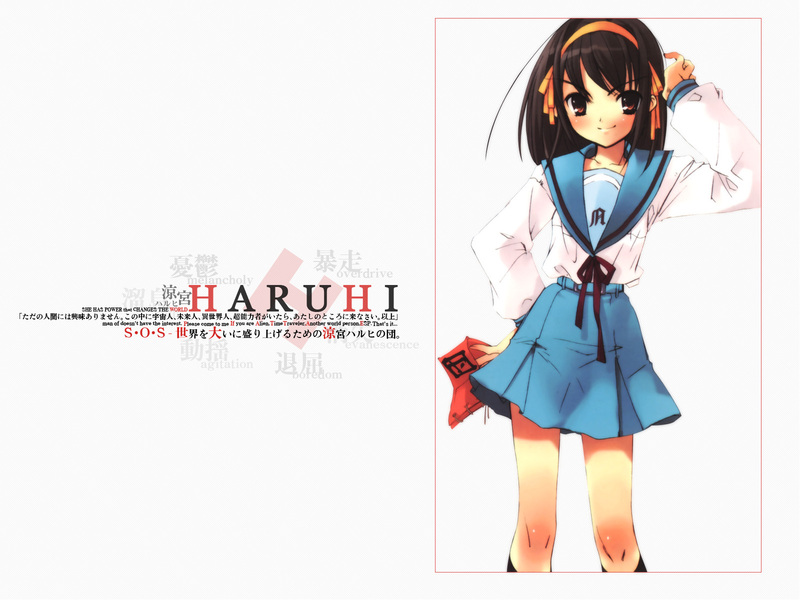 Oh yeah, and also a girl named Haruhi Suzumiya who sometimes has bouts of melancholy – with unexpected results (to say the least). Nevertheless, the animation is very well done and the voice acting is top-notch, so this is a series that is a pleasure to watch. This is a series that is equally likely to make you laugh, make you stop and think about the nature of life in the universe, or just make you squirm with embarrassment. Unfortunately, the English version of this anime seems to be a bit… sporadic. Although the first season box set is available, I have yet to see anything from the 2nd season available in English thus far – and it’s been quite a while since both the 1st and even the 2nd season came out (in Japan, of course). So if you end up liking this series (as I did) you may find yourself in agony waiting for the next episode to come out on DVD. Still, this is a lovely anime, and well worth watching – highly recommended for anyone who enjoys anime. Yet another manga-style wallpaper from "The Melancholy of Haruhi Suzumiya." I had promised in the previous installment of Desktop Madness to post any further wallpapers in the same style as that last one – and sure enough, I found another one, this time featuring Tsuruya (and Kyon’s little sister)! As far as I can tell, that’s it for this “series.” I haven’t been able to find any more in this style beyond the ones I’ve already posted. Another classically drawn wallpaper based off of the manga "The Melancholy of Haruhu Suzumiya." Apparently it turns out that there is a series of these wallpapers for various characters, and I seem to have some of them already posted: here’s one for Mikuru, and here’s one for Yuki. In the spirit of “gotta collect them all,” I will keep my eyes open for any others in this series and post them here on Desktop Madness as I get them! Desktop Madness Vol. 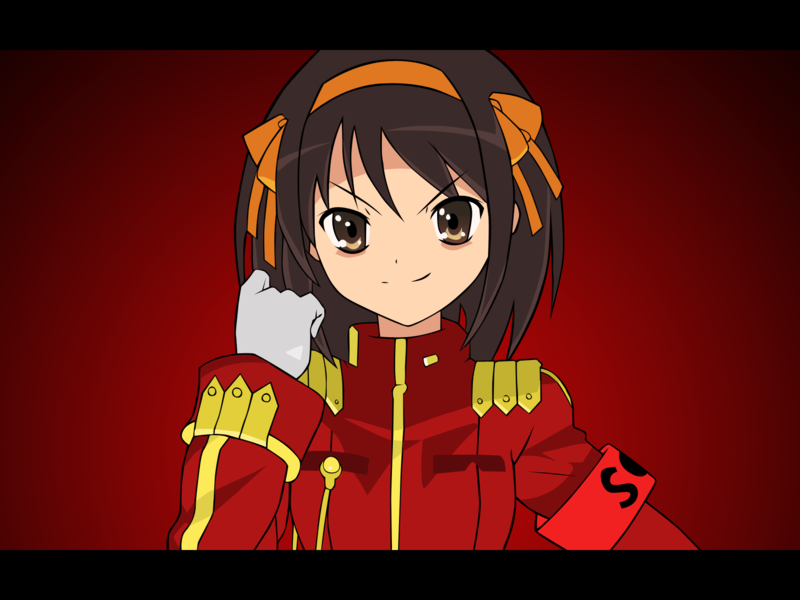 73 - desktop wallpaper featuring "Admiral" Haruhi Suzumiya from "The Melancholy of Haruhi Suzumiya." This wallpaper of “Admiral Suzumiya” sort of creeps me out when it comes up in my random wallpaper rotation… it must be something about her expression, or the way she’s looking out at you. 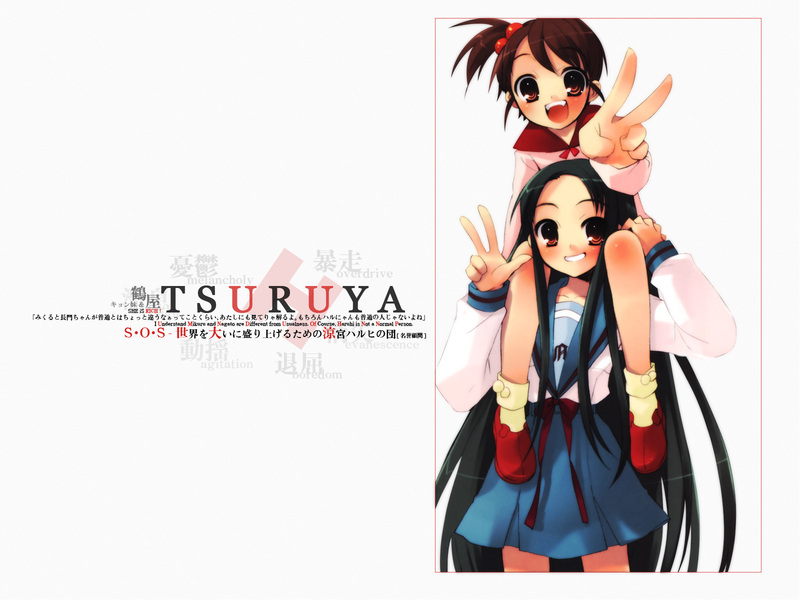 For the 67th installment of "Desktop Madness," we have a Pink Floyd-influenced wallpaper featuring Haruhi and Kyon. Just the sort of thing she’d say, too.